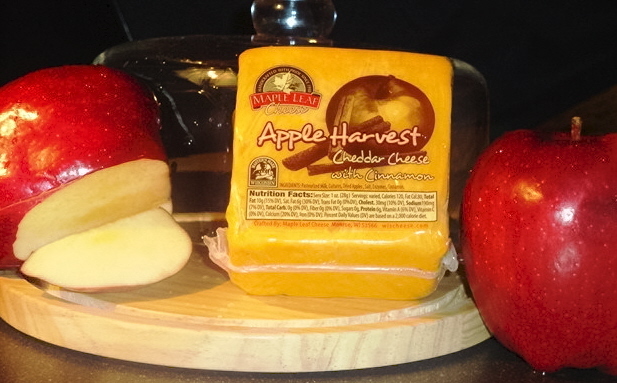 An award winning cheddar cheese combined with apple and cinnamon for a sensational dessert cheese that holds its own, but also pairs well with a light wine or crackers. In Wisconsin, legend has it that a law existed a long time ago that made it illegal to serve apple pie without a slice of cheddar cheese. Now unfortunately this is no longer the case but it is our inspiration for Apple Harvest. 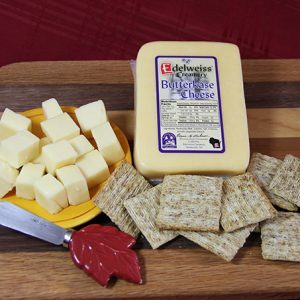 This unique combination of a slightly aged cheddar leaves a smooth mild flavor that blends with real apples and cinnamon. 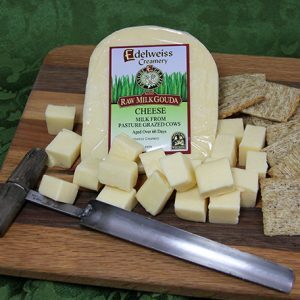 Cheese lovers and dessert lovers will appreciate this one-of-a-kind taste experience.